Do you ever have trouble focusing on one task long enough to finish it? Do you feel like if you could just finish the projects you started that you’d be a lot better off? If so, you and I are a lot alike! I’m an idea person which is a blessing and a curse. My mind never stops coming up with new business ideas. Some nights I lay in bed just thinking of all the different things I want to do over the next several months. When an idea sits in my head too long I start working on it. Then another great idea takes over and I quit working on my last idea. I rarely work on one thing long enough to see any results. Clearly, I could be a lot more successful than I am now if I could just focus. Knowing that my problem was focus I needed a way to fix it. A place where I could logically organize my ideas, draw plans, and find inspiration. That’s why I decided to make a goals binder. 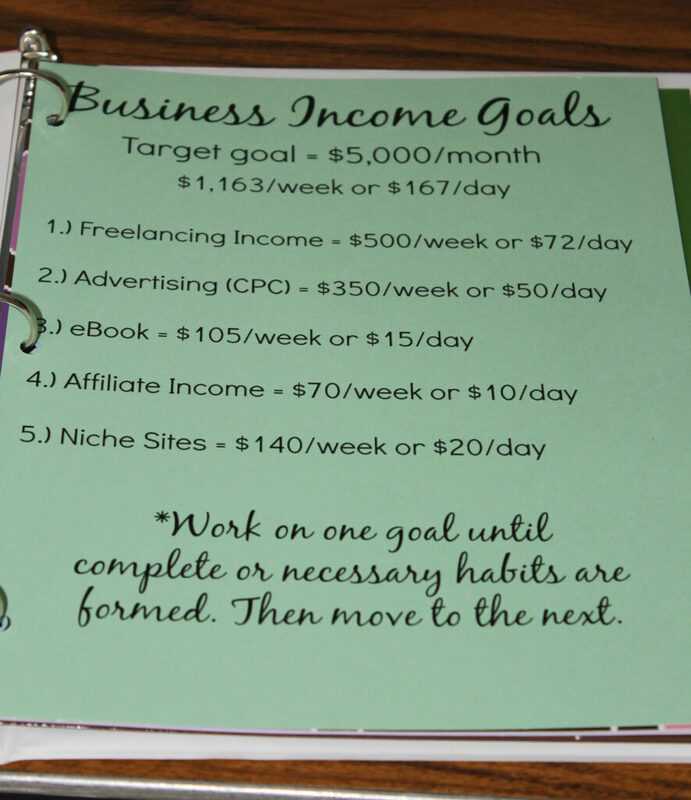 Although my binder is geared toward business goals (which is my focus trouble spot) you can use the same technique for virtually any goal. Over the past week I’ve been writing down all of my ideas. And more importantly I’ve been writing down WHY I want to pursue those ideas. When you take the time to really think of why you’re working toward something you’ll quickly be able to recognize whether or not your idea is actually a good one. After I had my goals narrowed down and my “why” figured out I put my binder together. Tab 1, My WHY – After looking through all of the ideas that I had been writing down I could quickly scan through them. I asked myself why I wanted to work on that idea. If I couldn’t come up with a good reason, that idea was quickly marked off the list. Once I had the goals that really mattered narrowed down to a list of five I made my list of “why.” I had four solid reasons for why I was doing what I was doing. Now I can begin my day by reading through my why list, which will be an instant motivator. 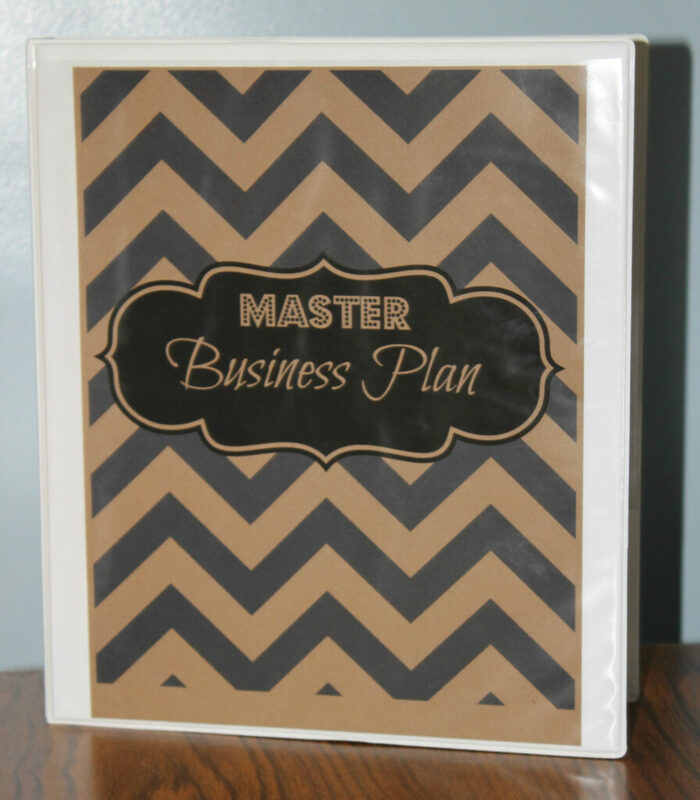 Tab 2, Business Plans – For my business plans I created 5 goals that I wanted to accomplish over the next 12 months. I then listed these goals in order of convenience. To me convenience is simply listing the goals in the order that they make the most sense. For instance, is there one goal that if I completed, would make the rest of the goals easier to accomplish? For me there was one clear goal that would help me accomplish the rest of my goals so this is my starting point. I should also note that I attached an income amount to each of these goals. I broke the income goals into weekly and daily amounts to make my goals feel more achievable. Once I reach the income amount I can then move onto the next goal. Tab 3, Current Goal – Since I had pinpointed which goal I’d first be working on I took that and broke it into five tasks I should be consistently doing in order to accomplish that goal. I also made a weekly to-do list to make sure I was hitting all of those points. I knew if I broke down each of my five big goals that I’d be tempted to work on all of them. So right now I just broke down the first so I can attack it with some focus! I thought this would be a nice way to look at my progress. Tab 4, Inspiration – My last tab is for inspiration. In here I’m working on putting some of my favorite quotes, as well as pictures (maybe the foreclosure), and anything else that I can look at to draw inspiration. This will be sort of a vision board. 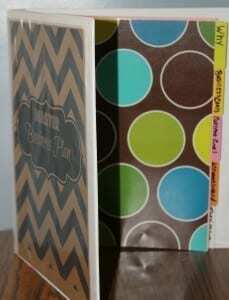 Inside Folder, Ideas Spot – I told you I have a million and one ideas. It’s just not something that I can turn on and off whether I want to or not. So I have a folder in the back of the binder where I can put my ideas. (It’s already got some in it 😉 ) This way I can review my ideas later. This is also a great way of getting something out of your head. Back Cover – On the back cover I have a few of my favorite quotes so that I can quickly look at them for added motivation. This binder is meant to be my reminder and motivation to focus on one thing at a time. The plan is to take it out and read through it at the beginning of each day before I start working. For anybody else who has trouble focusing I encourage you to give this a try. It’s a wonderful way to organize a sea full of ideas. Wow I love how detailed you are with this. Breaking out your income by day also makes it seem much more attainable. This is a great way to stay focused! Right now, I just write everything on my blog, but I need to change that up and do something more like this. Yeah I think having something you can physically hold and look at for motivation helps a lot. And by breaking it down by day I think it is definitely more achievable! An idea is nothing more than an idea until you write down and start turning it into something real. 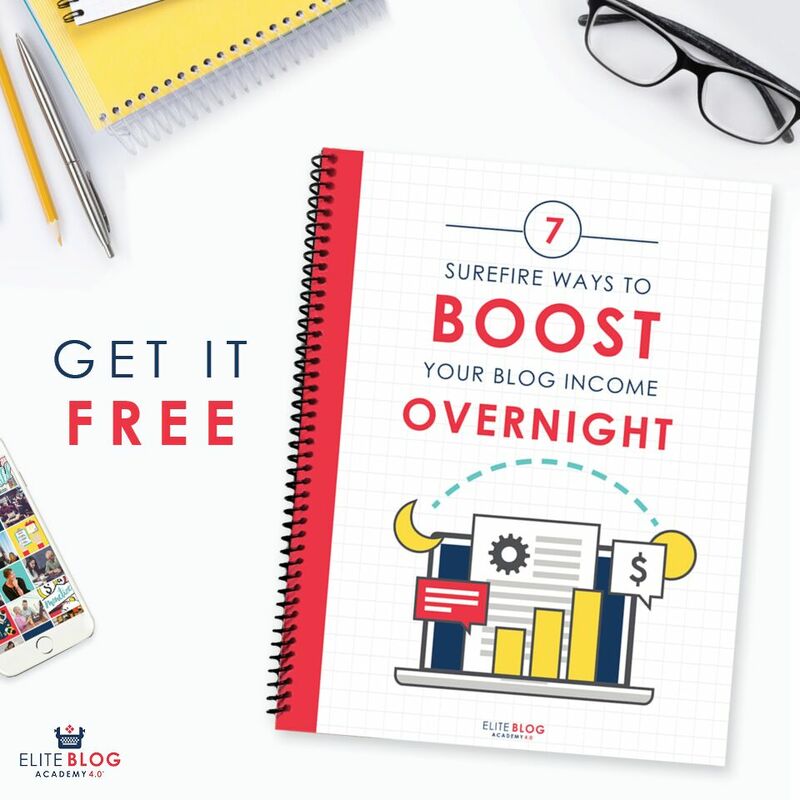 This is a really great step forward towards your income goals. I’ll be curious to see which of your goals you move ahead with. I actually just did something similar to this while I was on vacation this month. I wrote down all my goals and then put dollar amounts next to them. I think that quantifying your goals can really be an eye-opener. You might think that working on one project will be great, but it could only be earning you a few bucks whereas another project could be making 10x that. Copy the idea and then come back and let me know if it helped you! I think this is definitely a way for people with focus problems to lay all the plan out on the table. Answering the WHY is so hard. If you can’t think of why you should be doing something then you probably shouldn’t be doing it. So it’s hard but definitely gives you a clearer direction! I’m always drowning in a sea of ideas and have tried numerous ways to get focused and get things done. In all the things I’ve read about setting goals, I’ve not heard anyone mention the “why” and that is what I need. I like what you said about looking to see if there is a goal that if you completed it would make all the other goals easier. Thanks for the great “idea”, something to implement! You’re welcome. This is the first time I’ve tried the “why” technique to and it really was a great exercise to determine what was really important to me. I LOVE this idea! I always write down random thoughts and ideas but they are scattered everywhere. Having a pretty, organized place to put them all might actually help me get my sanity back and actually accomplish a thing or two 🙂 Thanks Alexa! This is excellent! I hope it really works out for you. I’m a list person, so I seem to be writing down goals and such every few days. 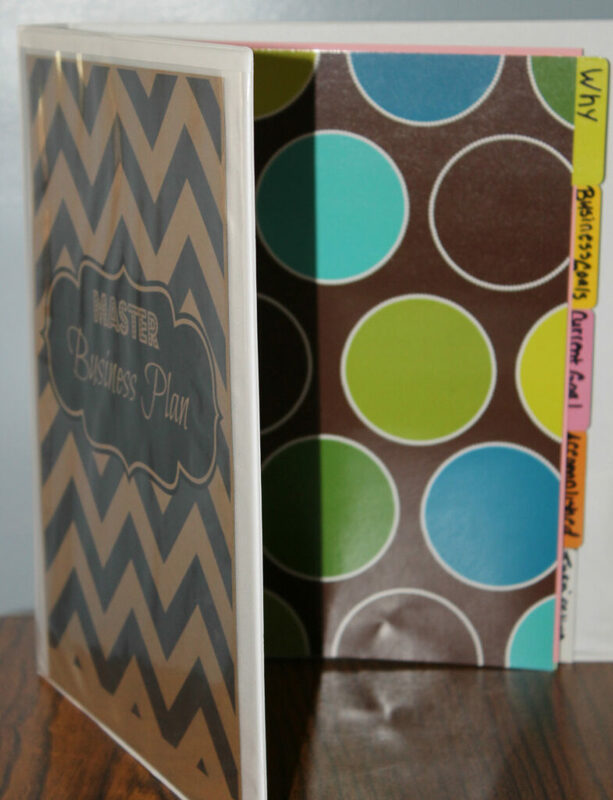 A binder is a great way to stay organized and focused! Thanks Alexa. I will do this. I have tried keeping organized on the computer and it doesn’t work for me. I am old fashion and need that paper in front of me. 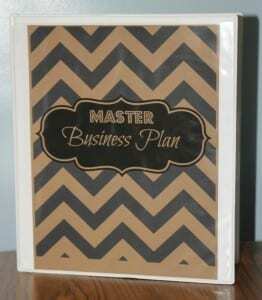 I am venturing into several different markets and keeping tabs will get harder the more I do. This will definitely help. Alexa, that binder is beautiful! I love going to Staples and finding things to make my life more organized — I get way too excited over office supplies. 🙂 I’m definitely going to borrow this idea. I really loved how you broke your goals down by week and day amounts, too. I am a bit late with everything now, the baby is taking a lot of my time (and I don’t complain, love her to bits), so my schedule is all over the place. I should get back to planning and trying to be more organized, this is clearly not a good way for me to run my business. Thank you so much for creating this! I too struggle with finishing one project at a time because my mind never sleeps! This will help me stay focused towards my 2015 goals. Thank you! This looks like a wonderful way to get organized. Will try it out! I always love seeing new ways that people organize their goals and stay inspired. Thanks for sharing! 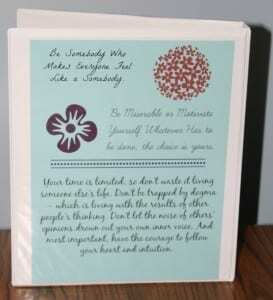 Great idea your blog is a inspiration. I love how you have everything broken down. I recently started setting my business goals based around how much I need to earn on a daily basis for my children and I. It’s really helped put things into perspective. Thanks for the interesting (and detailed) read! ADD here ! So happy to have stumbled upon your site, I am working myself in the ground for 9.00 dollars an hour, I climb in and out of a vehicle all day, my left knee has been swollen for 3 months now, I have a million ideas , but could never figure out exactly where to begin with any. Thank you so much for putting your idea out here. This is awesome. I think the breaking it down is the key. 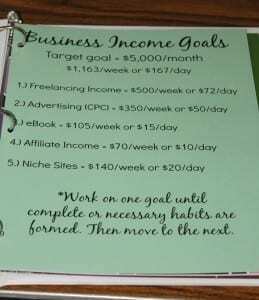 I even read a program which states to place your yearly goal and how much you have to make daily to reach that goal. Starting from the end result and working you way backwards is the way to go. Feel free to email me. I love to connect! 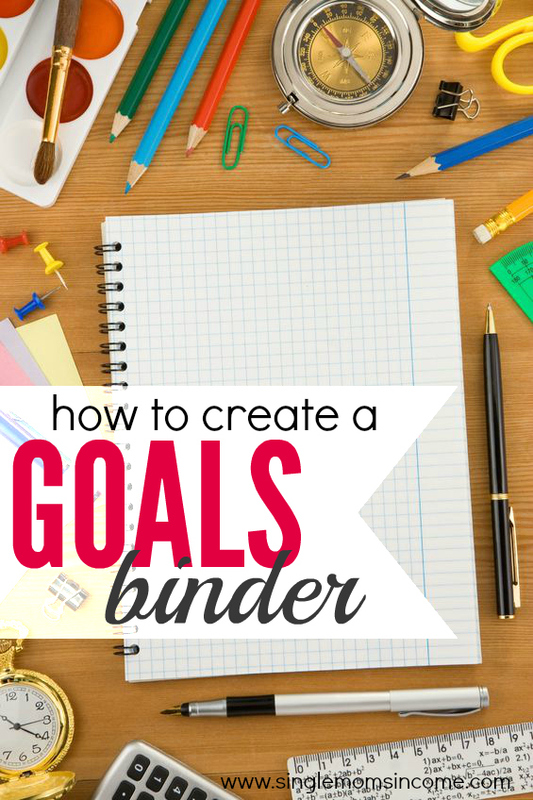 PS… I LOVE your Goals Binder idea! I’m going to try it out! Thank you! I realize this is a super old post, but what a great idea! Thank you for sharing this! I am all about organizing and making lists, but for some reason, I haven’t been very organized with my goals. This project has now been added to my to-do list for the week!